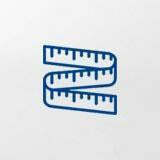 A guided measurement tool that simplifies the sizing process. The Bauerfeind ErgoPad Redux Heel 2 has been engineered to assist in reducing acute heel pain, combating the causes of pain. Able to fit in most shoes without modification, the intelligently shaped notch in the synthetic core removes pressure from the sensitive anatomical structure when you take a step. The core's polyurethane soft foam coating is gentle on the skin and provides additional cushioning for the feet when walking or running. Anti-microbial and odour resistant. The ErgoPad Redux 2 is ideal for targeting platar fasciitis, heel pain, foot arch pain and pes valgus. Concerned that your item might not fit properly? All Bauerfeind items come with a 30 day exchange policy. Ensuring you of the perfect fit. Items must be in original condition, with original undamaged packaging and not have been used apart for testing for correct sizing. We provide same-day dispatch and free shipping for orders received before 12pm AEST. We also offer express overnight shipping, you can select this option in the checkout. Based on European shoe sizes. 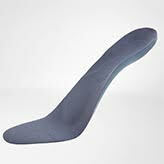 Insole sizes are classified as slim for females and wide for males. The ErgoPad Redux Heel 2 should slip easily into your shoe. All Bauerfeind insoles have a 1 year warranty and qualify for our 30 day size exchange policy. What is true medical-grade compression? The two basic components of true “medical-grade compression” are gradient compression and minimum compression levels. Gradient compression means the compression is strongest farthest away from the center of the body/heart and slowly loosens as it goes closer to the center of the body. Medical-grade compression levels are in the “sweet spot” for improving circulation and removing lactic-acid and other fluid build up. Unlike most other 'active wear' and retail compression available in Australia (that are not gradient and provide much lower grade compression), Bauerfeind compression is true medical grade. What’s the difference between the Performance and Recovery lines? Both lines offer medical-grade compression and have the same medical benefits of increased healing bloodflow, stability and proprioception. Sports Supports are ideal for shorter bursts of intense activity (like a workout or a basketball game), whereas Medical Supports are softer and more comfortable for all-day wear. Sports braces and supports are great for injury prevention, but if you already have an injury you're trying to recover from, we’d recommend going with a Recovery brace or support. Proprioceptors are helped by mechanoreceptors in the skin, which help detect stretch, compression, vibration and pressure. All of these messages come together and are analyzed by your brain, which provides you with a sense of awareness of your body and its movement within space. Succeeding at your sport relies on your coordination and confidence, and gaining awareness of your body’s movements is essential to improving performance and preventing an injury. I used the redux heel 2 and amazed after just one day! I am a chef and on my feet for up to 11 hours a day. After a long day of work I felt relief in my heel and sole of my feet. I highly recommend for everyone on their feet for long hours! Supportive foot orthosis for combating pediatric flat feet. For decades, Bauerfeind has been developing highly effective sports and medical aids to help top international athletes, including at the Olympic Games. At the Bauerfeind Innovation Center, we continually develop our products, drawing on all the experience we have gained in the world of elite sport. For this reason, you can be 100% confident that all Bauerfeind products always reflect the latest findings in sports science.